Golf cart battery life (in years) depends largely on how well you look after the batteries and how often they are run down and re-charged (charge cycles). There are five simple steps to good battery care. The golf cart batteries should be fully charged when idle – so always leave the charger plugged in whenever the car is not in use. The charger will not overcharge – it switches itself on and off. If you leave them half charged they will form a “sulphation memory” and not be able to accept charge beyond that point. Ideally leave the charger on and plugged into the car but flick the Tow/Run toggle to “Tow”. 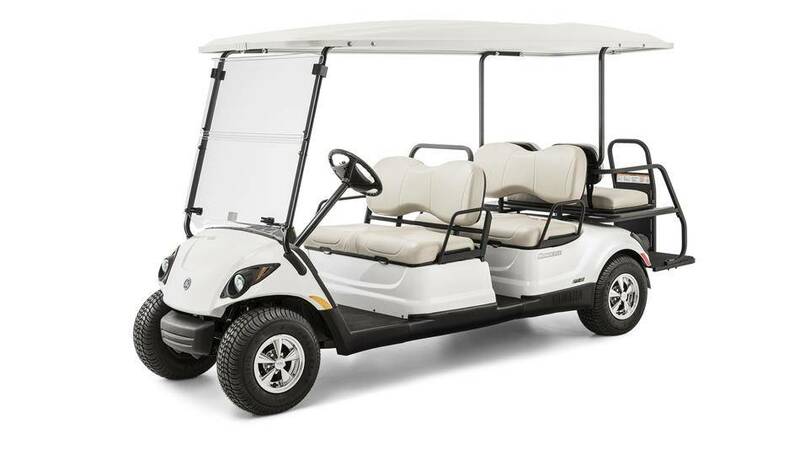 Keep the golf cart batteries clean – the dirt that settles on top quickly becomes conductive and if they are left to accumulate a layer of grit they start losing current through the dirt. This confuses the charging cycle and drains the batteries, eventually resulting in their early collapse. Check and maintain the golf cart battery water levels regularly – don’t use the golf car or charge it if any one of the battery cells is dry. (The plates, which look like cardboard strips standing vertically, must be covered by about 12mm of battery water when the car is standing on a flat surface but THERE MUST BE AN AIR GAP – don’t overfill). Buy high quality deionized or distilled battery water from a reputable car battery dealer. Never run the golf cart until the batteries are completely flat. This significantly shortens their useful life and risks blowing the controller. If you follow these instructions the golf cart batteries can last up to 5 years or more. They can also be destroyed in 6 months if they are abused. Typically, heavily used golf carts in golf course fleets have a battery life of about 3 years (+- 1000 charge cycles). Batteries are expensive. Golf cart battery life (how far will the car go on a charge):- Yamaha has a 48V system, the highest voltage in golf cars. The powerful 48V Yamaha with a 2.6 kW motor will comfortably cope with two rounds of golf on a charge if you have to play two rounds in one day. It will do at least 25km on tar on a charge if necessary. However, please treat the batteries gently for the first ten or so charge cycles. (i.e. one round of golf is fine but don’t ever drive until the batteries are flattened significantly before charging). DANGER: Golf cart batteries generate hydrogen gas while being charged. Always allow some ventilation while charging. Do not smoke or create sparks while looking at the batteries. They can explode with devastating consequences.